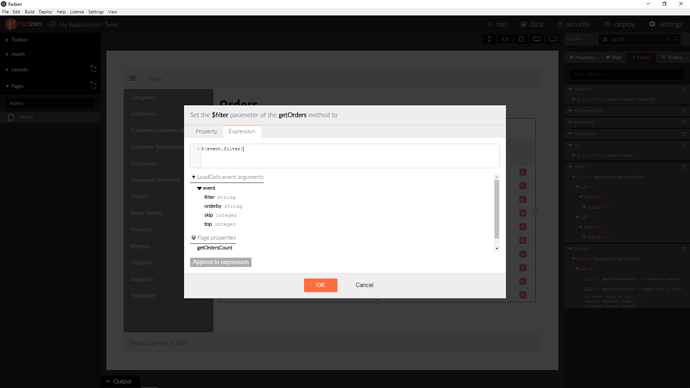 Is it possible to filter the data grid with Start Date and End Date using the Datepicker? 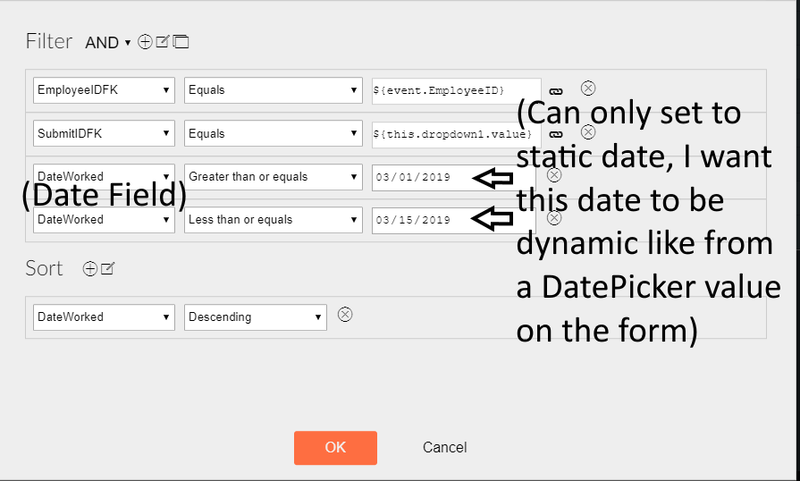 I try to do this by going to the filter with a group filter of Date greater than (static date) and Date less than (static date), but I want the (static date) to be dynamic so the User can filter pick from the date range and it filters the date either with their chosen date pick or filter it from a giving default date value like saying about a week or month date range. I have been using Query builder, but when the field is a Date type, it would only let me set up a static date. 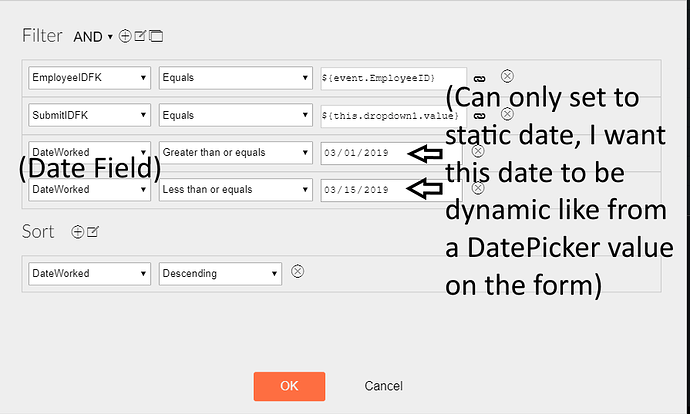 I want the date field to be dynamic so the User can filter the record from a date range (ex. start date and end date).